Bank of America Pays Florida $1 Billion in Settlement | The Law Office of Emil Fleysher, P.A. Bank of America Pays Florida $1 Billion in Settlement | The Law Office of Emil Fleysher, P.A. 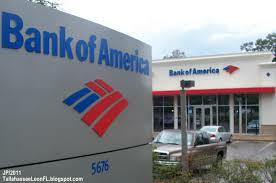 Nearly 17,000 Floridians will see some kind of relief from Bank of America due to its record-breaking settlement. Besides this being the largest settlement in history, they Attorney General also described it as going beyond the cost of doing business. The Attorney General’s spokesperson stated that all the particulars of how much and who will be receiving the assistance is still being worked out. Loan modifications, principal reduction and forgiveness, and new loans to borrowers with worthwhile credit will be part of the relief given to consumers. Communities that are still recuperation from the recession will received donations and other will be provided with rental housing that can be affordably financed. Of the $7 billion settlement, a seventh will be given to Florida to help homeowners and communities who were the most affected during the financial crisis. The majority of the toxic loans were done by the firms Merrill Lynch & Co and Countywide Financial Corp. These firms were attained by Bank of America in 2008.